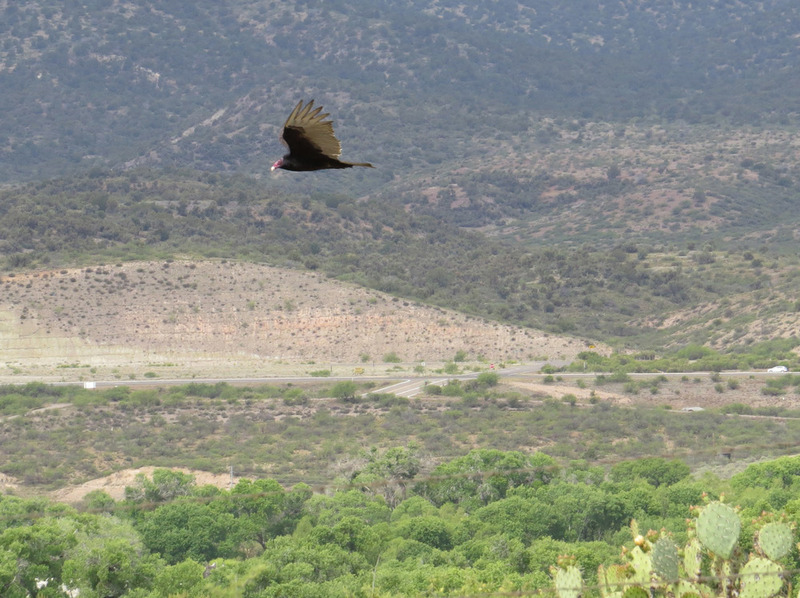 When I was in Camp Verde, Arizona, on April 30, buzzards (turkey vultures) were circling a dead jackrabbit on my friend Mary's front driveway. One came down, and I was able to film it briefly. 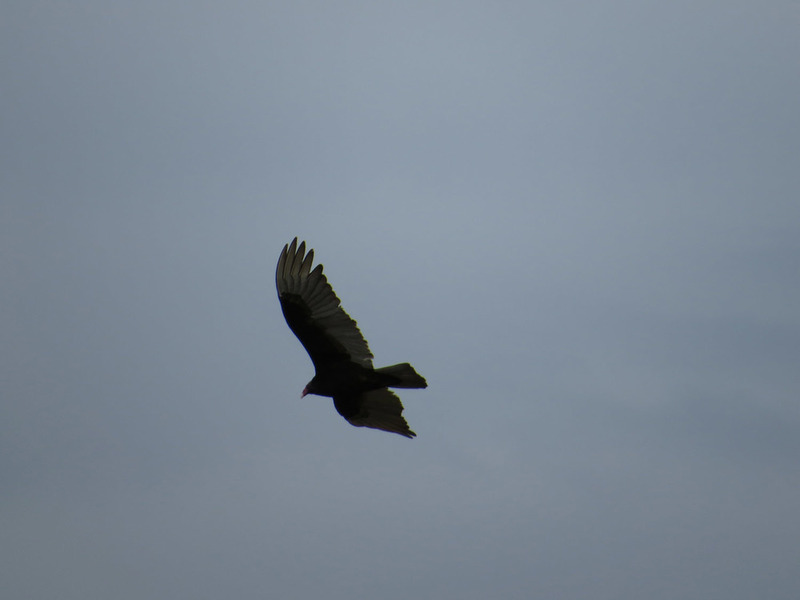 I also took video of the circling vultures. The birds were flying so low over the house. The circling continued for quite some time, with no sign they would come to the ground, until my friend's neighbor removed the jackrabbit and the birds moved on. 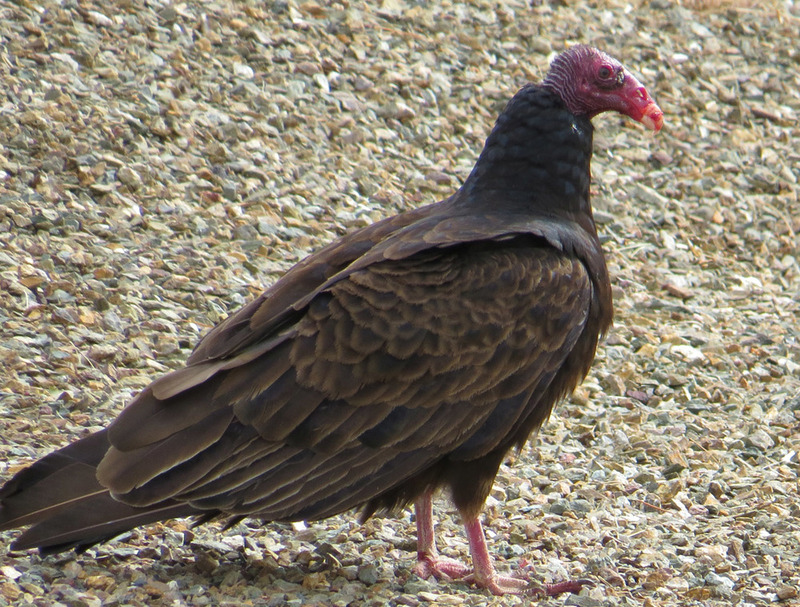 The video shows the birds, but not the carrion. Newer PostLions, and Tigers, and a Bear!